Bio-essence has innovatively blended Bio Energy Fluid, Bio Mineral Amino Acid Essence, Royal Jelly, ATP and precious herbal extracts like Ginseng, Aloe Vera and Angelica to enhance cell energy and skin metabolism. 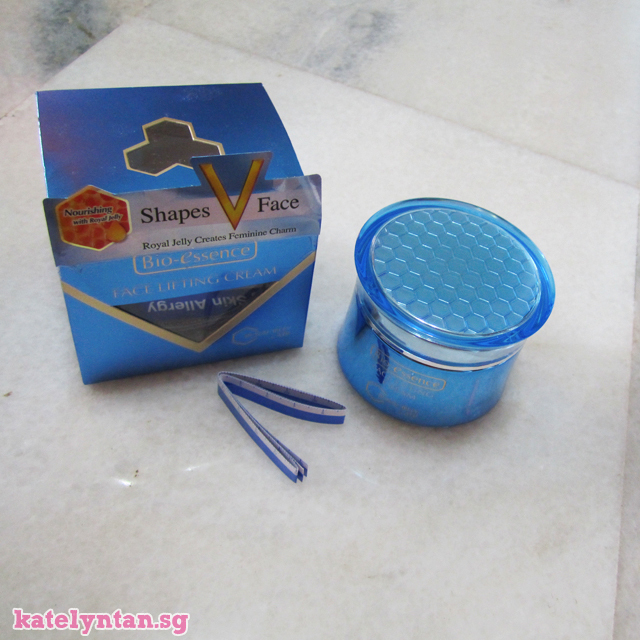 The Shape V Face Series provide minerals, trace minerals and herbal nutrients to lift and firm sagging skin to restore a V-shaped facial contour. Enriched with Royal Jelly & ATP, the Shape V Face Series has double the effects to supply and communicate energy to skin cells like a continuous current, improving micro-circulation effectively to renew and repair skin. It helps to restore the skin's suppleness, radiance and firmness to achieve a youthful V-shaped facial contour. 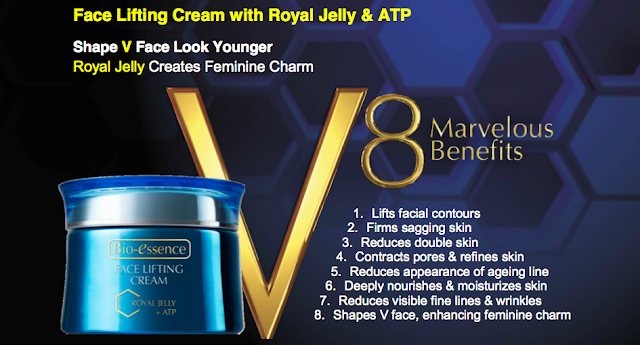 Royal Jelly contains proteins and 17 types of amino acids (amino acids are sources of protein and protein is the growth factor of skin cells), vitamins (B1,B2,B6,B12), abundant minerals and trace amount of carbohydrates and fats. Royal Jelly deeply nourishes skin, improves skin's radiance, leaving the skin soft, smooth, fair and glowing with a feminine charm. It also has excellent anti-bacterial property which helps to disinfect pimples or even acne skin. It left my skin feeling really smooth after I washed it off. I was a little hesitant about this product initially. When I had the first pump on my hand, I was thinking "OMG! It is so oily!". It really feels like pure oil. Greasy to the max. 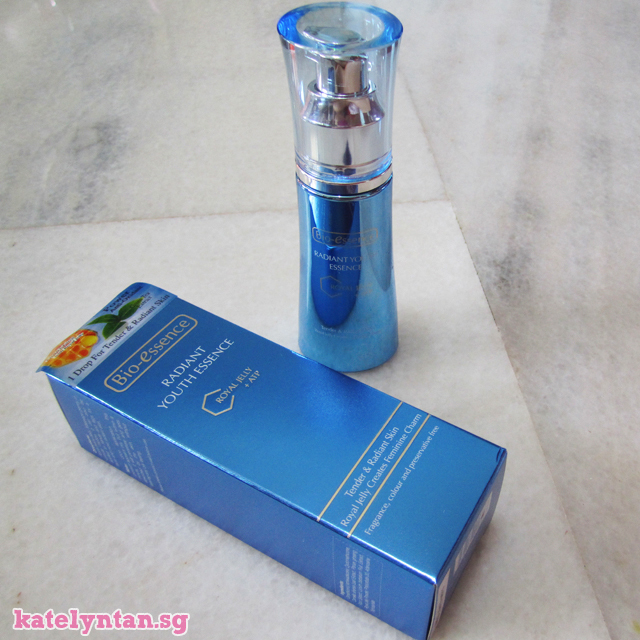 BUT after 1 minute, after it is fully absorbed by the skin, it no longer feels oily anymore! A nice and smooth moisturizer. I've only tested it out on my hand so I can't measure how lifted my skin. Why I love this range? The products smell really nice! My favorite product out of these 3 products would be the Deep Exfoliating Gel! It's smooth and it removes my dead skin really well. Most importantly, it is the least greasy product out of the 3 products I received.